Backyard Chickens – How to Keep Happy Hens. 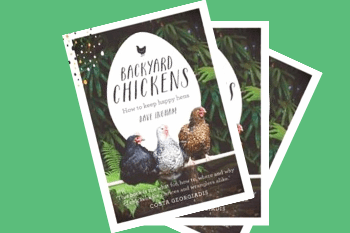 You may not be aware, but I’ve written a book; Backyard Chickens – How to Keep Happy Hens. I just wanted to write something fun and make it up as I went along, but the publisher insisted it be informative (and helpful for the prospective chicken keeper and people with hens already). We compromised. This book has it all, cute chicks, foxy predators, heatwaves. A masterpiece! There is no such thing as a stupid question when it comes to chooks, and Ingham has a stupid answer for all of them!